Taking a statin before having major elective surgery reduces potentially serious kidney complications, according to a study by Dr. Amber Molnar of the Schulich School of Medicine & Dentistry appearing in today's issue of the Journal of the American Society Nephrology. Each year, more than 230 million major elective surgeries are performed around the world. Unfortunately, many patients who undergo major operations develop kidney injury soon after surgery, often due to decreased blood flow to the kidneys and/or the effects of inflammation. Animal studies suggest that the cholesterol-lowering drugs called statins protect the kidneys from such damage, but whether a similar benefit occurs in humans is uncertain. To investigate, Amber Molnar, a third year resident in the Department of Medicine, and colleagues conducted a population-based retrospective study of all older patients who underwent major elective surgery in the province of Ontario, from 1995 to 2008. 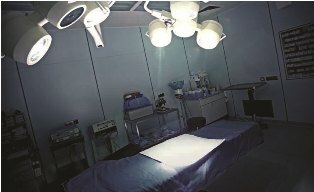 Surgeries included cardiac, thoracic, vascular, intra-abdominal, and retroperitoneal procedures. A total of 213,347 patients from 211 hospitals underwent major elective surgery, and 4,020 patients (1.9 percent) developed postoperative kidney injury within two weeks of surgery. A total of 1,173 patients (0.5 percent) required dialysis within two weeks of surgery, and 5,974 patients (2.8 percent) died within a month of surgery. Prior to surgery, 67,941 patients (32 percent) were taking a statin. Patients taking a statin were 20 percent less likely to develop kidney injury, need dialysis, and die compared to patients who were not taking a statin. Also, there was evidence of a dose-effect, with patients on higher potency statins having less kidney injury. In addition, statins were beneficial whether they were started greater than 90 days or less than 30 days prior to surgery. "Our study suggests that statin use in older persons results in less kidney injury following major elective surgery and reduces the risk of premature death after surgery," said Molnar, adding that the results warrant further investigation with more rigorous studies, but such trials will be difficult to carry out.